After a four-day break in the schedule, the Wild will finally get back into game mode Thursday with a new look. Winger J.T. Brown is set to make his season and team debut against the Blackhawks at Xcel Energy Center. This will be the first game Brown has played since the Wild’s final preseason tilt Sept.28, a 12-day lull compounded by the Wild pausing after its second game of the season last Saturday against the Golden Knights. Brown will slot in on the fourth line, skating on the right side next to center Eric Fehr and winger Marcus Foligno. Matt Hendricks will be the odd-man out, along with defenseman Nate Prosser. 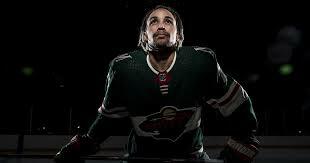 A free-agent addition in the summer, Brown will look to help the Wild’s speed, which has sagged through a winless 0-1-1 start. And picking up the pace could help solve the team’s offensive woes – with the Wild managing just two goals off 51 shots. The pressure to find a solution only seems amplified, with the Wild still seeking its first win and after waiting so long for Game No.3. 77: Saves on 80 shots faced by goalie Devan Dubnyk. 11-4-1: The Wild’s record in its last 16 games against the Blackhawks. 0: Wild goals in five power-play chances. 3: Straight overtime games for Chicago. 44-0-1: The Blackhawks’ record in their last 45 regular-season games when winger Patrick Kane and captain Jonathan Toews each score a goal. After missing the playoffs last season for the first time since 2008, Chicago is off to a productive start – going 2-0-1. Kane and Toews have been catalysts for the team’s success. Toews has a team-high five goals; he and Kane each have six points – which also paces the Blackhawks. With goalie Corey Crawford still working his way back from a concussion, Cam Ward has taken over the crease. He has a 4.62 goals-against average and .843 save percentage in three starts.